Expohogar Primavera is the first fair of the year in Fira de Barcelona, and like every year will bring the latest trends for small and medium businesses. 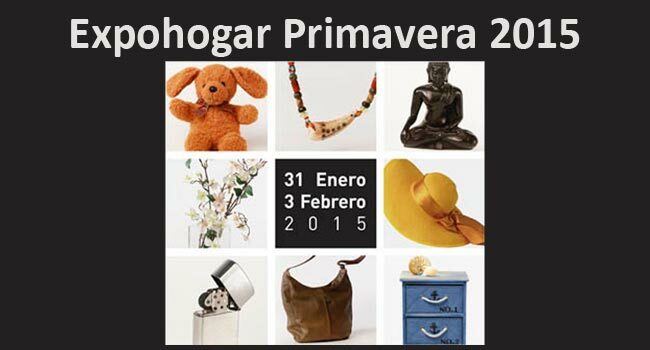 From January 31 until February 3 Expohogar Primavera 2015 will be held, being the first fair of the year. Expohogar is a fair for professionals and is the leading exhibition for the small and medium businesses of Catalunya. Here, the latest trends for the spring-summer season of 2015 for home, home furnishings, gifts, jewelry and accessories are presented. Expohogar Spring 2015 will be located in the Montjuïc area of Fira de Barcelona, in Plaça Espanya, and is organized in different sectors: gift, interior design and decorating, crafts, stationery, accessories and jewelry, textiles and home, leather goods and luggage, trolley and kitchen, floral decoration, terrace and garden, and lighting. In addition, attendees can participate in free workshops and courses on floral and gift packaging decoration. Expohogar is held biannually and receives in each of its editions over 9,000 professional visitors. Its spheres of influence are especially Catalonia, Aragon, Balearic Islands, Valencia, Andorra and the South of France, so it has become a must for any trader who wants to grow in these areas. Looking for a hotel for Expohogar 2015? If you need a hotel to come to Expohogar, Hotel Paseo de Gracia has an excellent location in the center of Barcelona. From here you can take a direct metro line to Expohogar so after the show you have all the services of the city next to you. This way, you can make the most of your participation in Expohogar 2015. If you want to know more about Expohogar Primavera 2015 you can visit their website.